OVER THE PAST few years, craft beer has become the beverage of choice for many a seasoned drinker. And as the movement has grown, many larger drinks manufacturers have sought to hop on the craft beer bandwagon. One such company is MillerCoors, who manufactures Blue Moon. 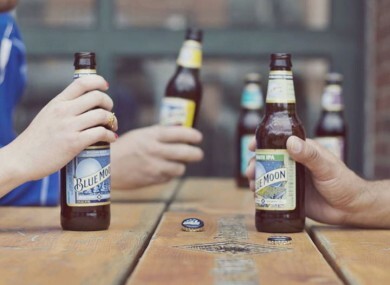 Blue Moon has previously come under fire for looking misleadingly like a craft beer and not clearly stating that it is in fact made by MillerCoors. Now, a craft beer aficionado has finally had enough and filed an action against the beer brand. Evan Peters has filed a class action suit on behalf of “all consumers who purchased Blue Moon beer from a retailer within the state of California” and contends that Blue Moon is engaging in false advertising. In the lawsuit, Peters claims he frequently bought Blue Moon and believed it was a craft beer, thanks to its marketing and placement within supermarkets, until his friends informed him otherwise. He points out that the Blue Moon website makes no mention of the fact it is associated with MillerCoors and tries to portray itself as a craft beer by using the phrase “artfully crafted” in its marketing. MillerCoors has not yet commented on the lawsuit, but it’s not the first case of its kind. Eater reports that, back in January, a judge ruled that anyone who believed the Japanese beer Kirin Ichiban was manufactured in Japan was entitled to a refund as the beer is owned by Anheuser Busch and is not brewed in Japan. On this side of the Atlantic, that’s still up for debate. In the US, however, the Brewers’ Association defines a craft brewer as one that is small, independent and traditional - and has an array of conditions that must be met. Originally published on DailyEdge.ie. Additional reporting, Daragh Brophy. Email “A man is suing Blue Moon for 'pretending to be a craft beer' ”. Feedback on “A man is suing Blue Moon for 'pretending to be a craft beer' ”.